Check-In: Leaders/volunteers: 7:45 to 8:00 am. Check in at Crouse! Scouts: 8:00 am and 8:15am AT THE DEN AREA! Please, NO PETS or Vehicles! Sign in your SCOUT or TAG with the leader in charge. 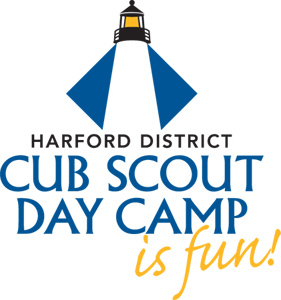 Adult and Boy Scout volunteers: 8:00 am, if possible, on the day(s) they are volunteering. Identification: Name tags will be provided daily. T-shirts will be distributed on the first day of camp in the den area. Everyone should wear their day camp shirt everyday to camp. We will start each morning with opening ceremonies. Check-Out: approximatley 4:30 pm each day, AFTER Closing Ceremonies. Please join us for the closing flag ceremony/announcements. Please be respectful of our closing flag ceremony and do not leave camp during this solemn occasion. Campers must be picked up and signed out at their appropriate Den or Tag-A-Long area or other area chosen by your son's den leader. Campers are not permitted to go to the parking areas unless accompanied by the designated guardian driving them home. No Scout or Tag-along is permitted to leave camp without being signed out on the appropriate roster form. Only designated guardians listed as “transporters” on the registration form may pick up day camp youth and take them out of camp. No child will be released to anyone not listed in the registration system as a transporter. Last minute changes to transporters can be coordinated with the Den Leader. Midday Release: If you must leave camp before closing, a designated guardian must report to the Admin Tower to have their child released. Camp Stations and Activities: Each day at camp, Scouts will spend their time doing fun activities at different stations throughout the camp. The activities are designed to be rank appropriate, exciting, and many are directly related to achievements the Scouts can earn in their progress toward ranks. Some of the activities include arts & crafts, cooking, nature exploration, archery, wood-working, leather-working, BB guns, and fishing. Summer Camp is a great way to get a jump start on the next year's Scouting program! Conduct: Campers are expected to be polite and respectful. They should be familiar with the meaning of the Cub Scout sign and listen to leaders during activities. Running, throwing rocks, and wandering away from their den are not allowed at camp. The buddy system will be used at all times. The code of conduct (C3) was signed by each scout during registration. It will be reviewed in the den on the first day of camp. 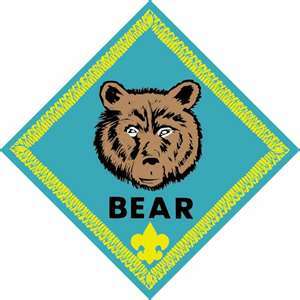 Repeated violations of the C3 will cause the scout to be removed from the den for a period of time. The scout will sit out with the director or program director until they can successfully re-join the den. Our goal in having a written code of conduct is that every scout can have a great day camp experience! Medications: If any prescription or non-prescription medication is to be dispensed at camp, please list the medication on the health form. Prescription medicine must be in an original prescription container with an original prescription label that includes dosage instructions clearly marked. All medicines must be brought to the medical station on the first day of camp and delivered to the camp medical director. Youth who take medications must go to medical with a buddy for the medication to be dispensed. If the medication must be kept by the Den Leader for a potentially life threatening condition, such as an allergy to bee stings, all adults in that Den must know where the medication is. Children with asthma may carry their own inhalers during camp. All participants in day camp will be identifiable by a day camp t-shirt, a wristband, a name tag, and/or a visitor badge. Anyone on-site not wearing one of these items will be asked to report to the Administration Tower for identification. Visitors: Parents, family members, and friends are welcome to attend the closing ceremonies of Day Camp each day. Parents visiting camp at other times must stop at the Admin Tower for a visitor’s pass. Personal Property: The camp does not assume responsibility for damage or loss of any personal property brought to camp by a camper or adult. All personal items should be marked with the owner's name to expedite returns from Lost and Found (kept at the Admin Tower). Adults are reminded to keep automobiles locked when parked. Cub Scouts are not permitted to have electronics at camp. Weapons: Firearms, fireworks, slingshots and other weapons are not allowed, except those provided by the Day Camp and used on the ranges. Drugs/Alcoholic Beverages: Use of illegal drugs or alcoholic beverages is strictly forbidden. Smoking: Smoking is not permitted at Day Camp or on the Equestrian Center Property. Adults wishing to smoke must leave the property to do so. Parking and Traffic Flow: The first morning of camp will be very crowded and hectic. Traffic getting into and out of the Equestrian Center will be extremely heavy. Please review and adhere to the following rules EACH DAY to allow for better traffic flow, to alleviate stress on yourself, and to maintain the safety of all. ► Main entrance to the Equestrian Center will be one way (in) only! PARK IN DESIGNATED PARKING AREAS ONLY. To exit, use side road nearest to the RT. 1 Bypass and make a RIGHT TURN ONLY. NO LEFT TURNS ARE ALLOWED. Sorry for the inconvenience but this one-way traffic will significantly reduce traffic delays! ► Den leaders may drive to their den area to drop off items in the morning if they arrive BEFORE 8:15 a.m. After drop-off, they MUST IMMEDIATELY proceed to the designated parking areas. At 8:15 a.m. all roads to the den area will be blocked off. There is NO PARKING at the den areas. After Monday morning, a special camp pass is required to drive through the den area. Passes will be placed in the den boxes on the first day of camp. ► Please uphold all posted speed limits. ► PLEASE DRIVE SLOWLY WHEN ENTERING AND EXITING CAMP EACH DAY. And be alert of pedestrians, they have the right of way. ► DO NOT drop off your scouts (volunteers) on the main camp road. Pull into the parking area, drop off, then proceed to the side exit to keep traffic flowing. ► Only authorized vehicles (with parking passes) are allowed to park in camp program areas. All other cars MUST be parked in the designated parking areas. 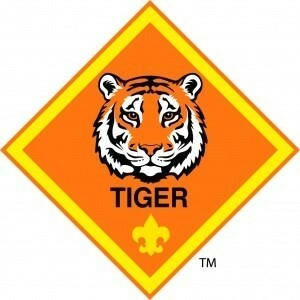 Trading Post: Each Cub Scout den will have a designated time to visit the Trading Post throughout the week. Candy, as well as small theme and scout related items are available for purchase. If your son wishes to make a purchase, he should come prepared with money on Monday, as scheduled den visits will begin the first day of camp. Please note that our younger Tag-A-Longs do not have a scheduled Trading Post visit, however you may go on your own before or after camp hours. Soda is on sale for youth and adult volunteers only. Pets: Pets are not allowed. Please keep pets in your vehicle when coming to drop off or pick up your scouts. 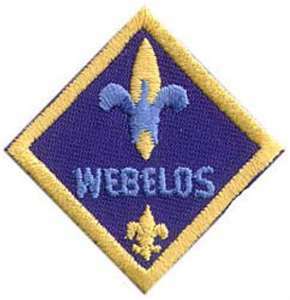 Scout Achievements: At the end of camp, Scouts will be sent home with a list of all Scout achievements completed during camp via the “Achievement Tracker”. 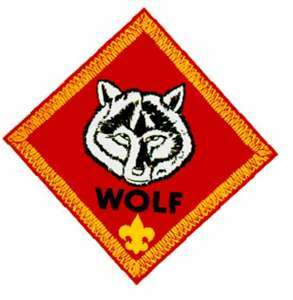 These should be turned in to the regular den leader so that achievements can be purchased by the pack or Scout’s family, as they are not provided by day camp.